At 9:43 a.m., Mark Dismore turned a lap of 213.532 miles per hour in the #30 Team Menard car, fastest of the week. At 9:20 a.m., Buddy Lazier in the #91 Hemelgarn Racing machine turned a lap at 213.464 miles per hour. The team's telemetry on the car showed Lazier at 210 in Turns 1-2, 212 in Turns 3-4, 215 on the front straightaway and 220 on the back straightaway. At 8:12 a.m., Lazier turned a lap at 212.331 miles per hour, fastest of the week. The team's telemetry on the car showed Lazier at 209 in Turns 1-2, 212 in Turns 3-4, 214 on the front straightaway and 220 on the back straightaway. Previously, at 7:25 a.m., Lazier had claimed the top spot for the week with a lap at 210.707. 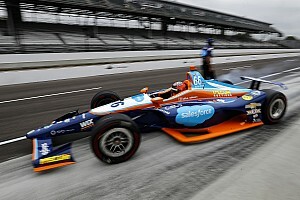 The team's telemetry on that lap showed Lazier at speeds of 197 miles per hour in Turns 1-2, 204 in Turns 3-4, 212 on the front straightaway and 218 on the back straightaway. United States Auto Club tests for new drivers started today. The tests are being conducted in a car owned by Brickell Racing and prepared by PDM Racing. Andy Michner, who passed his driver's test at Indianapolis but did not attempt to qualify for the "500", was first up for a final two-phase refresher. Scheduled to follow were full tests for Doug Kalitta and Jack Hewitt. The test is 40 laps, 10 laps each in the following brackets: 170-175 miles per hour, 175-180, 180-185 and 185-190. The track schedule for testing has been changed to open later each morning because vision is limited down the backstretch in the early hours by the sun rising in Turn 3. The track went green at 6:50 a.m. First car out was Tony Stewart in the #30 Team Menard car. At 7 a.m., the temperature was 76 degrees with winds out of the north at 10 miles per hour. At 9:30 a.m., the temperature was 81 degrees and winds were NE at 6 mph. Three-time Indianapolis 500 winner Johnny Rutherford, now special projects coordinator for the Indy Racing League, got his first ride around the Las Vegas Motor Speedway oval in a passenger car this morning. "The track is deceiving because it looks like it has some bumps but it's smooth as glass and the transitions are nice," said Lone Star J.R. "It's somewhat similar to MIS (Michigan) but it looks like it's going to develop a character of its own with the banking. It's big and fast." Top speeds as of 9:30 a.m.: #91 Buddy Lazier, 213.464, #30 Mark Dismore 211.798; #33 Michele Alboreto, 211.053; #18 John Paul Jr., 210.158; #7 Eliseo Salazar, 209.205; #21 Roberto Guerrero, 208.583; #4 Richie Hearn, 208.438; #1 Scott Sharp, 207.349; #54 Robbie Buhl, 200.751; #28 Andy Michner, 192.610; #27 Jim Guthrie, 188.910. Buddy Lazier in the #91 Hemelgarn Racing/Delta Faucet machine reached 217.383 miles per hour at 1:05 p.m., fastest of the week, just five minutes after the track reopened for practice after the lunch break. The track closed at 2 p.m. "This morning we were running flat out but we had to get the car comfortable flat out before we trimmed it out," Lazier said. "It was definitely a hairy lap, but I believe we can get more. The RPMs dropped a little bit so we decided to change engines. It is awfully quick...to run 217 on a 1 1/2-mile oval is crazy. Even at 213.5, we were flat out. From there, it's just a matter of how brave do you want to get. Today is a very forgiving, cool day compared to what we might see in September. Conditions were favorable for fast speeds." QUOTES FROM TODAY'S PRESS CONFERENCE: RICHIE CLYNE (President, Las Vegas Motor Speedway): "What we're doing at Las Vegas Motor Speedway is bringing the community together. There will be no gambling on the property. All the grandstands will be named after resorts here. Shuttles will run between the resorts and here. We're tying the entire community together." (about construction): "The entire facility is being worked on...the motocross track, the dirt oval...everything is being worked on at one time. I expect it will be (totally) completed by January." 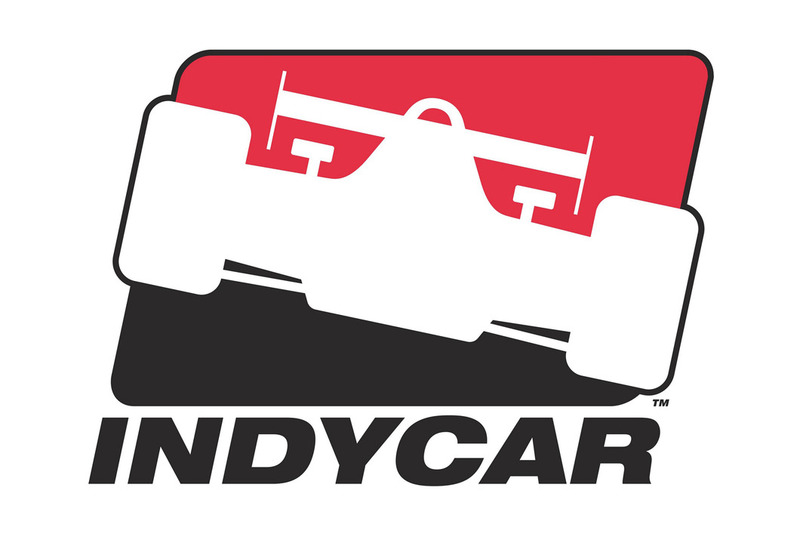 TONY GEORGE (President, Indianapolis Motor Speedway): "The best part of forming the Indy Racing League is the association with great people who have worked so hard to make it successful. It's been extra special being associated with a lot of great people with shared vision. I will be working every week of the year with Richie (Clyne). It's nice to see all this equipment parked out here on the REAL race track...the Legends track...and I hope to be out here for that Friday night (to race on it)." 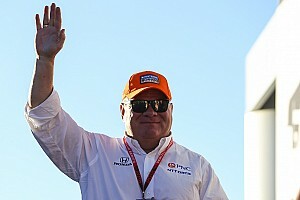 KEN CLAPP (NASCAR, Vice President, Western Operations): "I think we all owe Richie Clyne a big thanks for this race track. It's for real. It's the fastest mile-and-a-half oval now in the U.S. and the world and this morning, it got even faster." MARK DISMORE: "The thing I like the most is there's definitely more than one groove. Any event that comes to this place is going to put on a tremendous show." Dismore, after setting the unofficial track record this morning, said, "Can you fax that out right away, before Tony (Stewart) gets in the car?" TONY STEWART: "We were the first ones on the track. It was an awesome feeling going around it. I think this facility is going to be good for anything you bring here...stock car, Indy car, whatever. It'll be (multiple) groove for anything here." 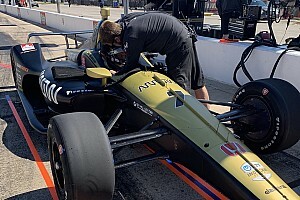 Hemelgarn Racing general manager Lee Kunzman said this morning that Brad Murphey, who made his debut in the Indianapolis 500 last month with the team, would drive the team's second car on Thursday. Andy Michner passed the first phase of his two-phase refresher driver's test. Rob Wilson, who passed his driver's test at Indianapolis, took the track in the #14 A.J. Foyt Enterprises machine. Wilson is required to take a final two-phase refresher test.